We are a practice in Loveland, Ohio that has been attracting, rewarding, and retaining highly skilled chiropractic therapy staff since 1921. Our proactive approach to the development of best business practices and promotion of highly effective treatment methods will help us accomplish this. Loveland Chiropractic is committed to providing high quality outpatient chiropractic services in Loveland, Ohio. As a healthcare leader we partner with groups and events within the communities we serve. Dr. Kemmet has participates in continuing education so he always understands and puts into practice cutting-edge treatments and rehabilitation techniques available for all types of injuries and conditions. We are committed as chiropractic professionals to help our patients resume their lifelong pursuit of health, fitness, and well-being. Dr. Kemmet has over 28 years of clinical experience and has a passion for helping our community stay active. Dr. Kemmet was raised in central Minnesota where he developed an interest in Chiropractic medicine as a young man. Graduating from Waden High School in 1982. He then went on to obtain his Bachelor's Degree from Concordia College in Moorhead, Minnesota. He earned a Bachelor's of Science in Biology and Chemistry in 1986. In the fall of 1986 he began chiropractic school at Northwestern College of Chiropractic in Bloomington, Minnesota. 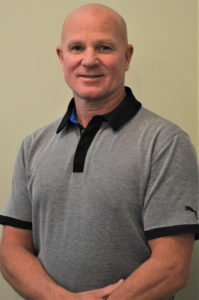 Dr. Kemmet graduated in 1989, with a Doctorate in Chiropractic. 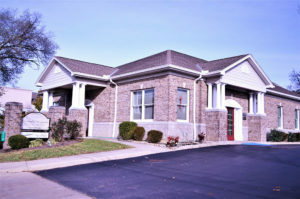 Dr. Kemmet moved to Cincinnati, Ohio in April of 1990. He began practicing chiropractic in West Chester and Loveland. In August of 1990, he began working full-time for Loveland Chiropractic Office, Inc. Dr. Kemmet knows of the importance of keeping up with current literature and further education. He has furthered his education by completing 385 hours of continued education in board certified classes in Chiropractic Orthopedics and is board eligible. In August of 2000, he bought the practice and is the sole owner. Jeff has been a Loveland resident since 2001 and participates in many city related functions. Dr. Kemmet's main goal is to continue the long standing chiropractic excellence that Loveland has come to know since 1921.